From the very beginning World Migratory Bird Day has been a tremendous success worldwide. Since 2006, the total number of registered WMBD events has enormously increased along with the number of countries in which WMBD celebrations have taken place. Over 1200 registered events have celebrated WMBD in 131 different countries and territories around the world. Every single event was unique in its own way and as diverse and creative as the people and organisations involved. To help you get some ideas for your own upcoming WMBD 2014 events, we would like to share just a few of the many exceptional highlights of the 2013 World Migratory Bird Day Campaign including participating events, statements from partners, WMBD trailers and videos as well as the number of countries and languages the campaign has spread to this year. World Migratory Bird Day Celebrated in 86 Countries! World Migratory Bird Day - A Truly Global Campaign! This is just a small sample of the 345 World Migratory Bird Day 2013 Events in 86 countries. 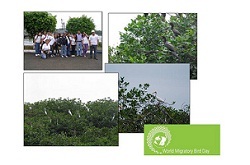 On 11 May 2013, a regional World Migratory Bird Day event was held in Kenya, the country where WMBD was first launched in 2006. 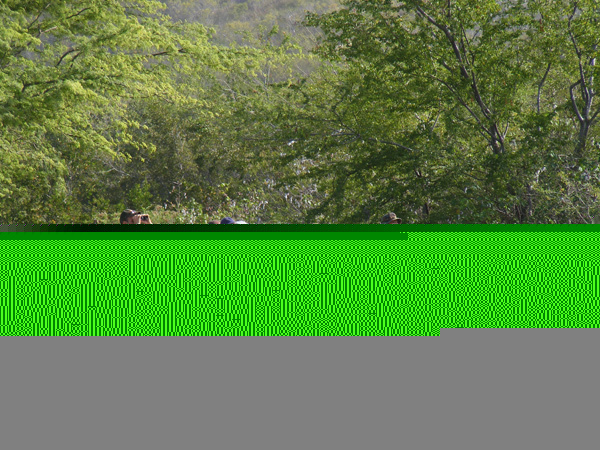 The event took place at Lake Elementaita, which is a very important site for migratory birds. Activities included exhibitions, speeches by honored guests and various forms of entertainment, such as an acrobatic show. 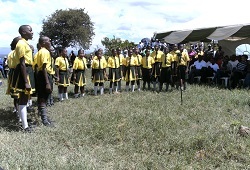 The event was also the occasion to launch Lake Elementaita as World Heritage Site and Wildlife Sanctuary. The event was hosted by the government of Kenya and the Kenya Wildlife Service (KWS), in collaboration with the African-Eurasian Migratory Waterbird Agreement (AEWA). The event was made possible in part through funding which AEWA received from the German Federal Ministry for the Environment, Nature Conservation and Nuclear Safety (BMU). The renowned writer, conservationist, CMS Abassador and Honorary Warden of KWS Ms. Kuki Gallmann attended the event as well. For the first time, a charity concert was held to celebrate World Migratory Bird Day in Bonn, Germany. On Saturday, 11 May the opera choir Corale Lirica San Rocco from Bologna, Italy, sang a selection of works by Verdi in the Namen-Jesu-Church. Donations made at the concert were collected to support the conservation of the Grey Crowned Crane, an endangered species. The Grey Crowned Crane is an iconic African bird known for its beauty and grace. It is a highly sought-after bird by zoos and private collectors, causing a serious threat to the wild population as cranes are being taken in large numbers to be traded across the world. 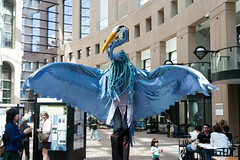 During the week of 6-12 May, the City of Vancouver, along with the Stanley Park Ecology Society, Bird Studies Canada, Nature Vancouver, Tourism Vancouver and other partners, recognized World Migratory Bird Day in a series of events held across the city. The City of Vancouver Park Board proclaimed World Migratory Bird Day, in a declaration signed by Mayor Gregor Robertson. The declaration recognized the better management of birds and their habitats through initiatives such as Vancouver's Greenest City 2020 Action Plan would benefit residents and over 407 bird species. The Mongolian Ornithological Society and National University of Mongolia are proud to present two events for this year's World Migratory Bird Day celebration. Both events took place in Ulaanbaatar, where people had the chance to attend presentations or to take part in an exciting bird photograph competition. Migratory birds are an important part of the biodiversity of Mongolia. Of the country's 476 bird species, 391 of them are migratory. On May 11, the National University of Colombia will be hosting a World Migratory Bird event on campus, as well as at the Natural History Museum. The event is targeting children, youths and adults who are interesting in learning about the conservation of migratory birds. 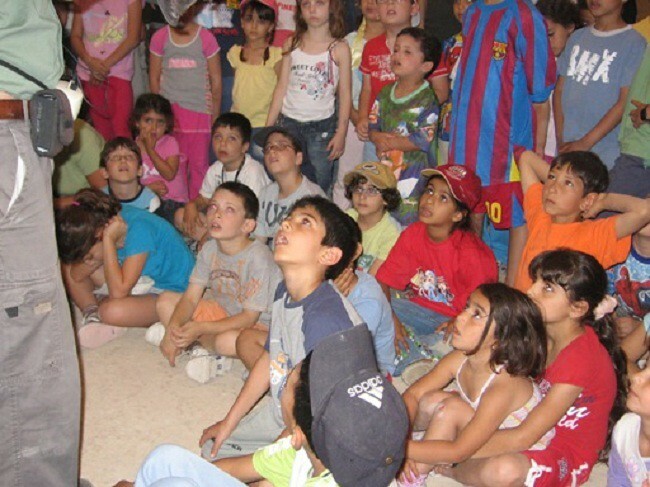 Activities include birdwatching, games for children and lectures about migration cycles and their importance for the survival of migratory birds. A visit to the Natural History Museum, where participants are introduced to an exhibition of Colombian mammals, insects, reptiles, fish and migratory birds is also on the programme. The creation of a giant map displaying birds in America will finish off the day. The beautiful, but Critically Endangered Spoon-billed Sandpiper is a shorebird that depends on tidal-flats in East Asia during its migration. During this year’s World Migratory Bird Day celebration, the organization ‘Birds Korea’ is raising money for the production of a mini-documentary on Spoon-billed Sandpiper conservation. This is a joint project supported by Cornell University’s Lab of Ornithology, New York. As many of Korea’s long-distance migratory birds spend the summer in North America, the organization is also interested in intensifying their American conservation network to help protecting migratory birds. Read more about the event in the Republic of Korea here! See All the World Migratory Bird Day Event Photos on the WMBD Flickr Photostream! Visit the WMBD Flickr Photostream and See Photos From Around the World! Share Your WMBD Event photos and Organization on the WMBD Flickr Photostream as Well! To become a part of this year's campaign, register your own activity for WMBD 2013 on this website! Celebrate migratory birds and raise awareness about this year's theme 'Destination Flyways: migratory birds and tourism'. 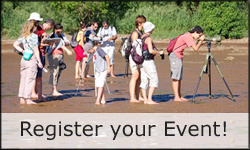 For more ideas for your own WMBD 2014 activity browse through the other globally registered WMBD events which took place in 2013, 2012, 2011, 2010, 2009, 2008, 2007 and 2006!